An iconic design from C.P. Company. 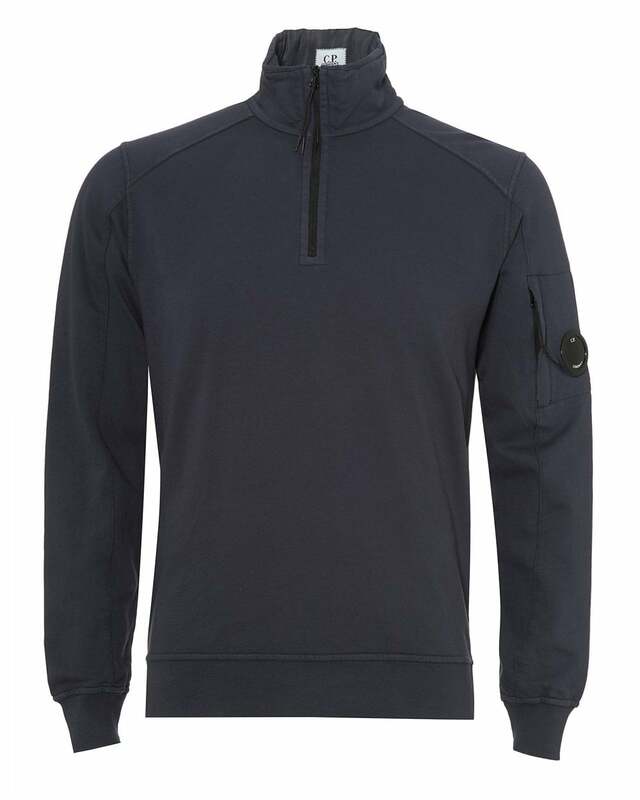 This quarter zip sweatshirt is accommodated with long sleeves, a funnel neckline and C.P. 's iconic lens logo on the arm.